Celebrity endorsement is a form of advertising campaign or marketing strategy used by brands/ companies which involves celebrities/ influencers or a well-known person using their social status or their fame to help promote a product/ service. The agreement between the brand and the celebrity is called an endorsement agreement under which the brand engages the celebrity to render endorsement services for the brand. While the celebrity endorsement agreement is essentially a service agreement, exposes the celebrities to certain risks and hence it is important to have a watertight agreement with enough safeguards to protect the celebrity from any liability. 1) Title clause- this clause provides the contact details of all the parties entering into the endorsement agreement. 2) Recitals– recitals provide a brief overview of the business of the parties and the intent behind entering into the agreement. (i) ‘Products’– the category of the products for which the celebrity has blocked his/ her services should be categorically identified in the agreement. If there are any excluded items from the list of products, the same should be defined as well. (ii) ‘Competitive Products’- Brands typically restrict a celebrity from endorsing competitive products. Hence it is important to define what would fall under competitive products. A brand may have several businesses. However, the competitive products should cover only the category block products and not the other businesses of the brand. (iii) ‘Media’- the media of exploitation of the endorsement materials should be defined. For instance, the parties may commercially agree that the endorsement materials would be exploited only on digital platforms or only on Out of Home advertising. (iv) ‘Term and Territory’- The term of the agreement for which the celebrity is to provide his / her services, the usage term (if different from the term of the agreement) for which the endorsement materials are allowed to be exploited by the brand as well as the territory of the usage should be clearly defined in the agreement. (v) ‘Days/ Work Days’- Celebrities are usually paid on the basis of the number of work days they agree to provide to the brand. Hence it becomes important to define the number of hours that would constitute a work day. Further, activities such as dressing, rehearsals, make up, resting, lunch, etc would be included or excluded from the number of hours defined in the Work Day. (i) Fees payable to the celebrity should indicate whether it is inclusive or exclusive of taxes as well as the payment tranches within which the fees would be payable. Celebrities may choose to mention that the fees would be payable on utilization of certain number of Work Days or within expiry of a certain duration from execution of the agreement, whichever is earlier. Since the brand benefits not merely due to the celebrity providing services on Work Days but also by the mere association of the celebrity with the brand, it is not unreasonable for a celebrity to demand payment in such a manner. If the celebrity is being represented by a talent management agency and such agency is a party to the agreement, the fees payable to such agency may also be specified. (ii) Taxes- the fees should mention that it would be subject to withholding taxes such as TDS being deducted. It is important to mention whether the fees would be inclusive or exclusive of indirect taxes such as GST and whose obligation would it be to bear those taxes. (iii) In India, stamp duty is payable on endorsement agreements. In states like Maharashtra the stamp duty is as high as 0.5% of the consideration if the consideration exceeds INR 10 Lacs and 0.25% of the consideration if the consideration is below INR 10 Lacs [Article 5(h)(A)(iii) of Schedule 1]. In other states it is relatively lower. It is therefore important to specify who would be responsible for payment of stamp duty. This clause is one of the most important clauses for celebrities. Details of the celebrity’s travel and accommodation such as first class/ business class air travel, five star suite accommodation, travel and accommodation of entourage, list of people who would constitute entourage needs to be clearly specified. For instance, a top-level celebrity may require manager, representative, spot boy, make up artist, hair artist, trainer, bodyguard, etc to be a part of the entourage. Further, details on the brand providing adequate security for the celebrity while rendering his/ her services should be mentioned. Celebrities may also choose to ask the brand to obtain insurance for the celebrity and be responsible to bear any medical expenses if it arises while the celebrity is rendering services. (i) Process for allotting a Work Day– It is important to set up a process for allotting the Work Day as per the mutual agreement of the parties. Celebrities usually have a tight schedule and therefore sufficient window period should be available for fixing a Work Day. 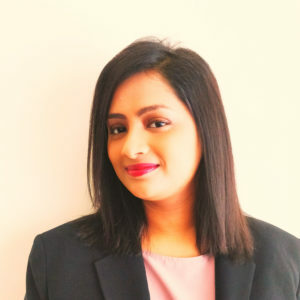 (ii) Cancellation– Cancellation of a fixed work day by either party with a notice period, without a notice period, due to force majeure events or any other reason should be captured along with its consequences. For instance, if a celebrity cancels a work day by giving a mutually agreed notice period then the parties may decide to agree on another Work Day or if the Brand cancels the work day without adequate notice period then it shall amount to a consumed work day, etc. (iii) Services required– the services required from the celebrity should be spelt out in the agreement. For instance, celebrity may be required to make himself/ herself available for shooting of television commercials, for social media posts, etc. (i) Celebrity Approval: Usage rights of endorsement materials should be subject to celebrity endorsement. (ii) Ownership: Ownership rights in the endorsement materials should vest with the brand. However, usage rights should be limited to the usage term of the agreement. (iii) Cool Off Period: The Parties may choose to have a cool off period post the expiry of the term of the agreement which period shall enable the brand to remove the endorsement materials in circulation in the market. However no new materials should be created during the Cool Off Period. Cool Off Period is usually granted for a period between 1-3 months. Further, during the cool off period, the celebrity need not be restricted by any exclusivity clause. (iv) Exclusivity– a brand would require its brand ambassador to be exclusive during the term of the agreement i.e. not to endorse any competitive products. However, celebrities such as film actors and sportsmen are often required in the course of their profession to be shown in the same frame of a competitive product. For example for a film star, the producer may have an in-film branding with a competitive brand. As long as the celebrity is shown with such a competitive product as a character of such a film, such usage should be permissible. Likewise, a sportsman may be required to wear a jersey with the name of a competitive brand which should not amount to be a breach of exclusivity. (v) Moral Rights – Celebrities being performers are entitled to moral rights under Section 38B of the Copyright Act. Therefore, a clause on celebrity’s moral rights i.e. to prevent or claim damages in respect of any mutilation / distortion of their performance which is prejudicial to their honor and reputation should be added in the agreement. (vi) Royalties– Performers are also entitled to performance royalties in the event of exploitation of their performance for commercial purposes under Section 38 (A)(2) of the Copyright Act. Hence a clause on statutory royalties should be added. 8) Representations and Warranties- After Nestle India’s controversy wherein Maggi noodles were banned by the Food Safety and Standards Authority of India (FSSAI), questions were raised with respect to the liability of its past and present brand ambassadors eg. Madhuri Dixit, Preity Zinta, Amitabh Bachchan. The Consumer Protection Bill, 2018 has proposed that if the Central Authority is satisfied after investigation that advertisement is false or misleading and is prejudicial to the interest of any consumer or is in contravention of consumer rights, it may impose penalty on the endorser which may extend to INR 10 lacs for first offence and upto INR 50 Lacs for subsequent offence. Further, the Central Authority may by order, prohibit the endorser of a false or misleading advertisement from making endorsement of any product or service for a period which may extend to one year and for subsequent contravention for a period upto three years. The Bill further proposes that no endorser shall be liable to a penalty if he has exercised due diligence to verify the veracity of the claims made in the advertisement regarding the product or service being endorsed by him. The Advertising Standards Council of India (ASCI) provides for a mechanism for taking ASCI Advice which can be viewed at the following link https://www.ascionline.org/images/pdf/advertising-advice.pdf . 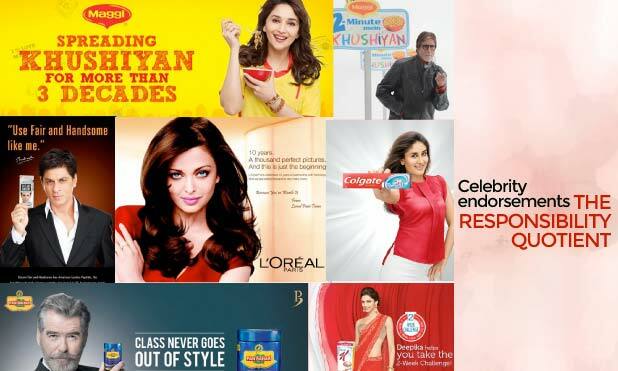 Further, the ASCI has released guidelines for celebrity endorsers which can be viewed at the following link: https://ascionline.org/images/pdf/guidelines-for-celebrities-in-advertising.pdf . These Guidelines provide that if the Celebrity either directly or through the concerned Advertiser/Agency chooses to seek Advertising Advice from ASCI on whether the advertisement potentially violates any provisions of the ASCI code or not and if the Advertisement is developed fully following the Advertising Advice provided by the ASCI, then the Celebrity would be considered as having completed due diligence. In view of the proposed penalties on endorsers under the Consumer Protection Bill, it is now important for celebrities to seek ASCI Advisory on their endorsements to safeguard themselves and absolve themselves from liability. The Celebrity may thus require the brand to obtain such ASCI Advisory on behalf of the Celebrity. Further, adequate representations must be taken from the brand to ensure that the endorsement materials would be in accordance with applicable laws, there would be no misleading advertisements. An acknowledgement should be taken that the celebrity has no way of ascertaining and verifying the products and would be relying on the representations of the brand. Further, that the Celebrity has no control on the manufacture, sale, distribution and advertising of the products of the brand and therefore would not be responsible for any claims in relation to the products. 9) Indemnity– A contract by which one party promises to save the other from loss caused to him by the conduct of the promisor himself, or by the conduct of any other person, is called a “contract of indemnity.” Brand must undertake to indemnify the Celebrity from any and all legal claims, civil and criminal, with respect to the Celebrity endorsing the Brand. 10) Force Majeure-Force Majeure events are acts of God which are beyond the reasonable control of any party. Neither party should be responsible for non-performance of obligations if it is due to a force majeure event. 11) Celebrity Disability– a clause on celebrity disability should be added which should include events by which the Celebrity is prevented or hampered from performing his/ her obligations by virtue of any disruptive events which are beyond the Celebrity’s control including illness, disfigurement detracting the Celebrity from making an appearance, mental and/or physical incapacity. (i) Termination by the brand-the brand should have the ability to terminate if the Celebrity fails to fulfill his/ her obligations, commits breach of representation and warranties and fails to rectify it within a cure period. Further, events such as Force Majeure Event and Celebrity Disability extending beyond a certain duration could be added as events of termination. The Celebrity being convicted for any criminal activity punishable under the Indian Penal Code could also be added a ground for termination. The consequences of such termination should be pro-rata payment to the Celebrity for the services rendered until such date. (ii) Termination by the Celebrity- The Celebrity should have the ability to terminate the agreement in events such as breach of representations/ warranties of the brand, insolvency/ bankruptcy of the brand, brand committing an act which would bring the celebrity into disrepute, scandal, etc. The consequences of such termination could be payment of the entire consideration to the Celebrity. 13) Confidentiality- each party should be required to maintain confidentiality of the terms of the agreement and any confidential information shared. (i) Governing law and jurisdiction- the governing law and jurisdiction should be mentioned. If the parties agree to arbitration as a dispute resolution mechanism then an arbitration clause should be added and the jurisdiction clause should be subject to such arbitration clause. (vi) Severability– in the event any provision of the agreement is declared to be void, invalid or unlawful by any court or tribunal of competent jurisdiction, such provision shall be deemed severed from the remainder of this agreement and the balance shall remain in full force and effect. (vii) Notices– all notices should be in writing. Mode of sending the notice and the contact details should be mentioned.